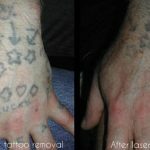 Laser tattoo removal - Birmingham UK. 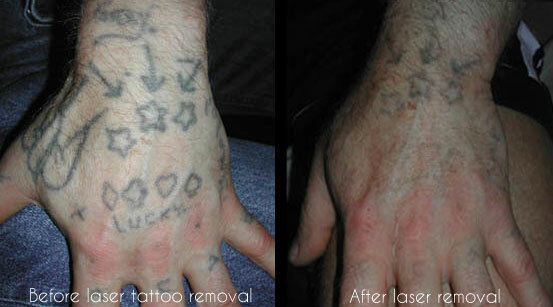 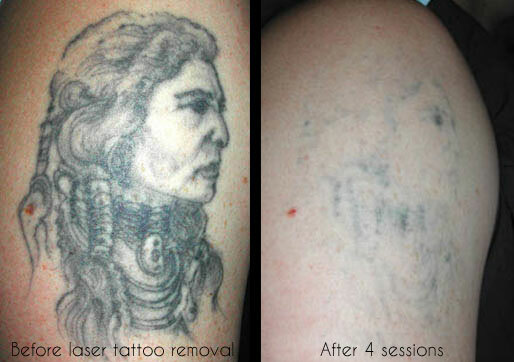 Professional, experienced Laser Tattoo Removal. 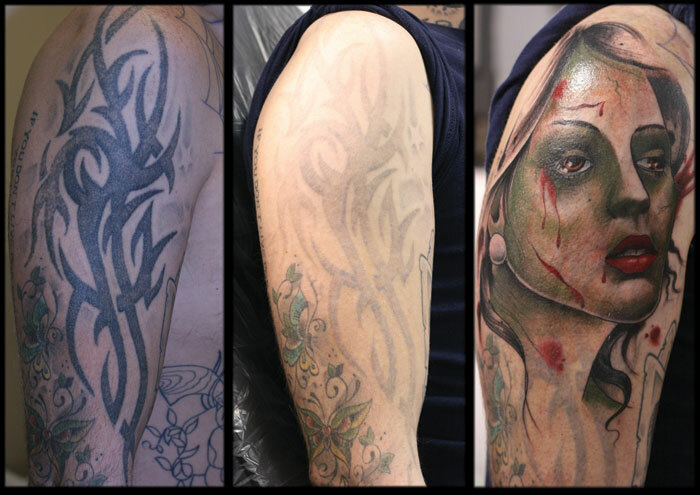 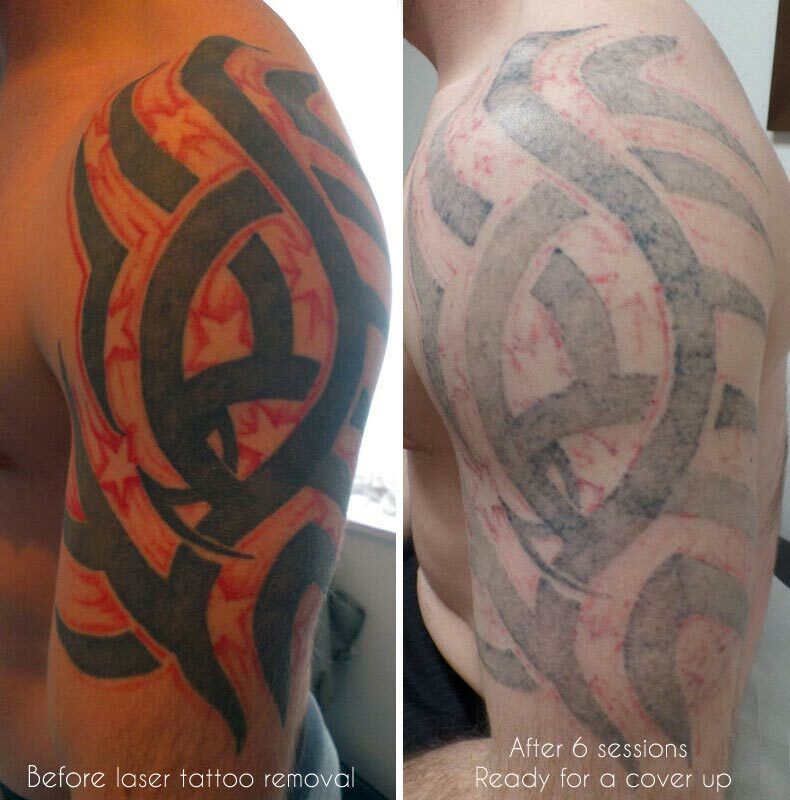 Modern Body Art in Birmingham is proud to have been one of the very first UK studios to offer laser tattoo removal. 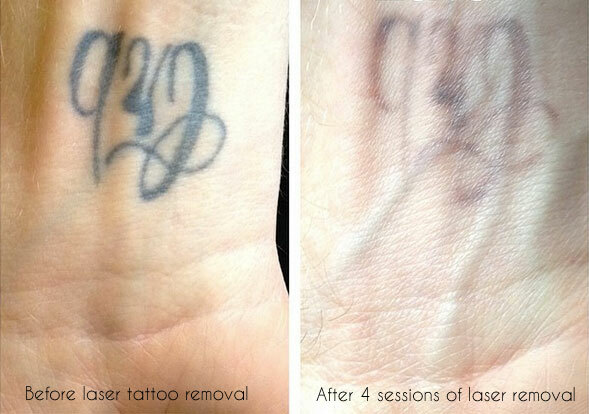 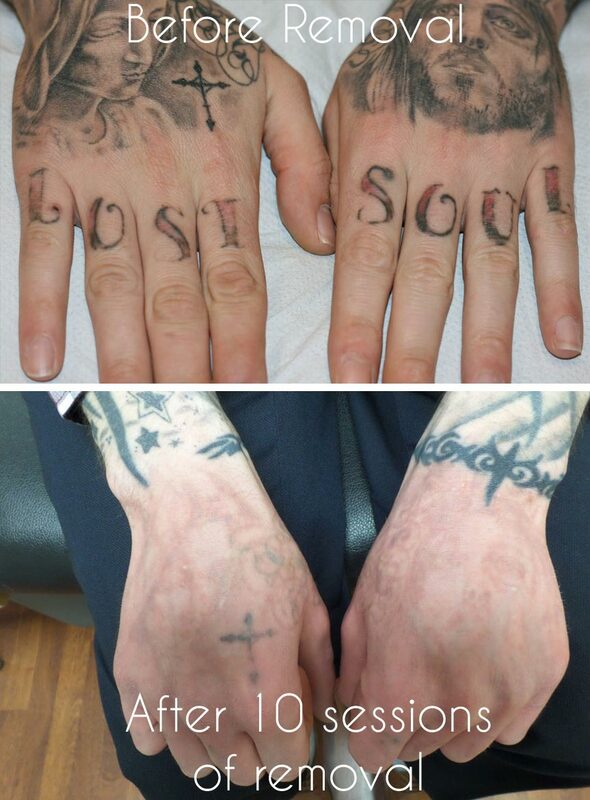 We have been removing tattoos by laser since 2001, successfully treating and advising thousands of people. 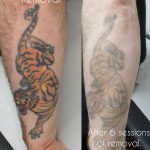 We believe no tattoo studio in Birmingham, or indeed in the UK, can match our experience working with lasers and no laser clinic can match our knowledge of tattoos. 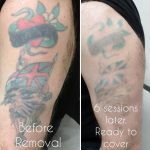 Cosmetic lasers used to be heavily regulated by the Healthcare Commission and we were the only tattoo studio in Birmingham to be licensed for laser tattoo removal by them. 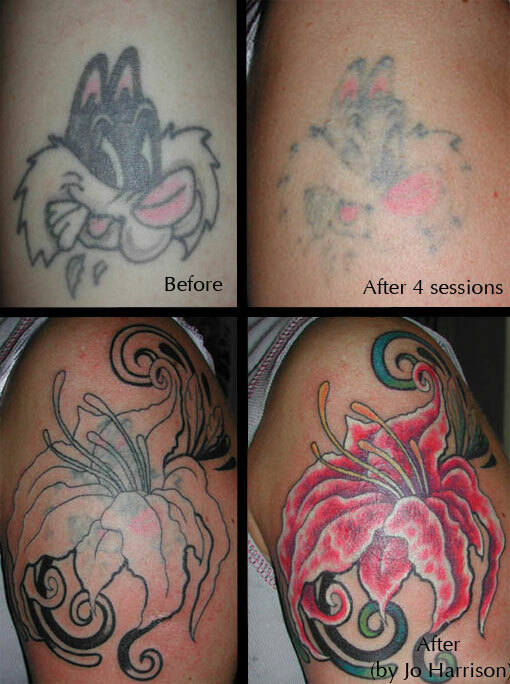 We still follow the same protocols and still adhere to their high standards. 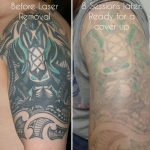 Since deregulation there has been a proliferation of studios offering laser tattoo removal – usually with cheap, less-effective Chinese lasers. 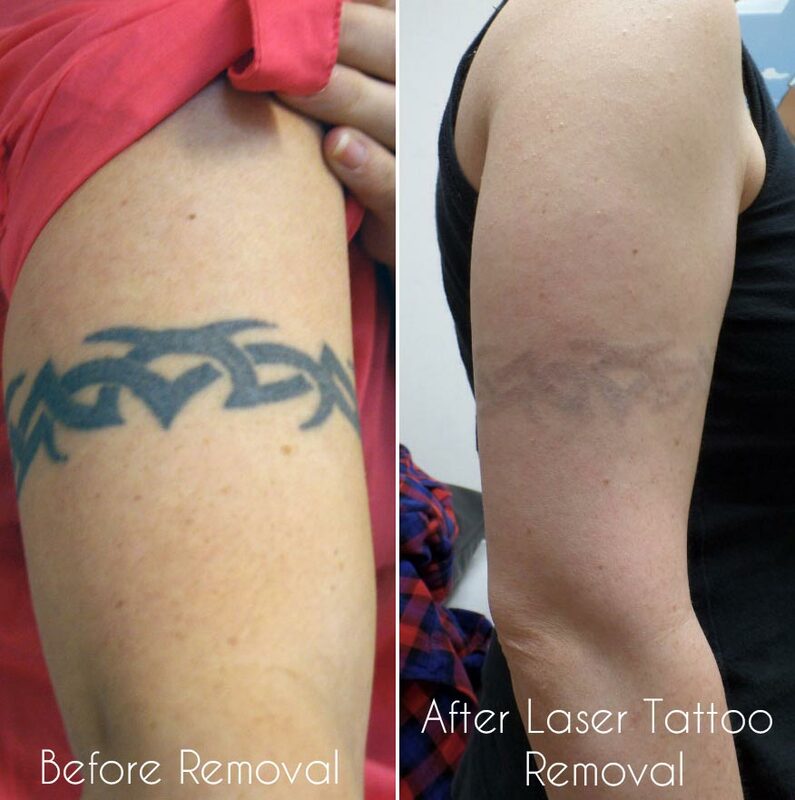 We use a top of the range Q-switched Nd:YAG laser to ensure the best results can be achieved. 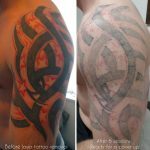 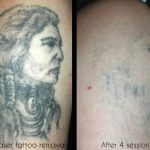 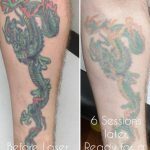 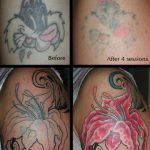 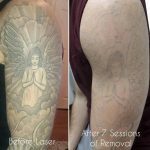 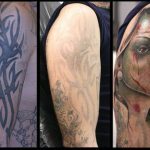 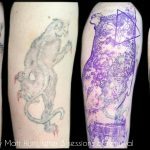 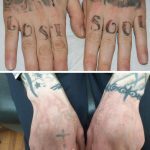 There are television programs that would have you believe any tattoo can be covered without laser treatment, but unfortunately the results are often not what the customer expected. If you have a dark, large or heavy tattoo, laser tattoo removal opens up options for you. 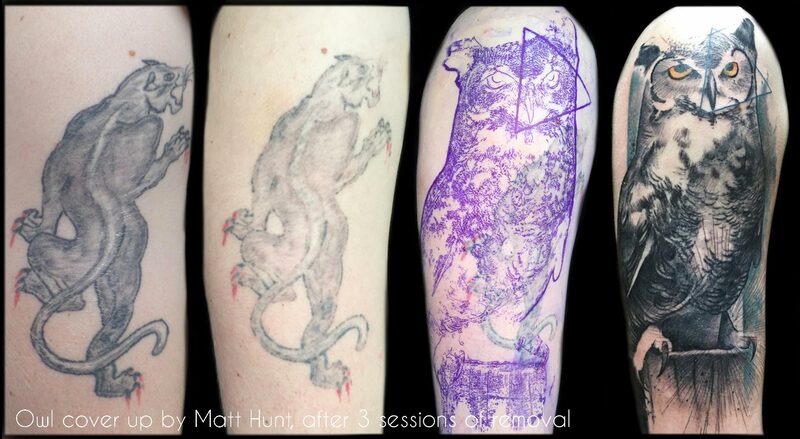 Often these options are just not possible any other way. 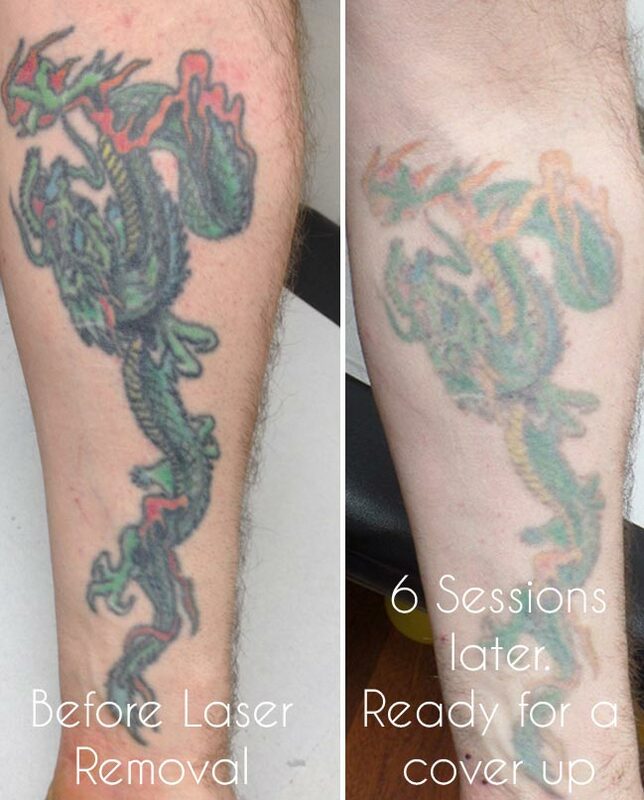 You really can end up with something amazing, rather than a compromise or something worse than you had before. 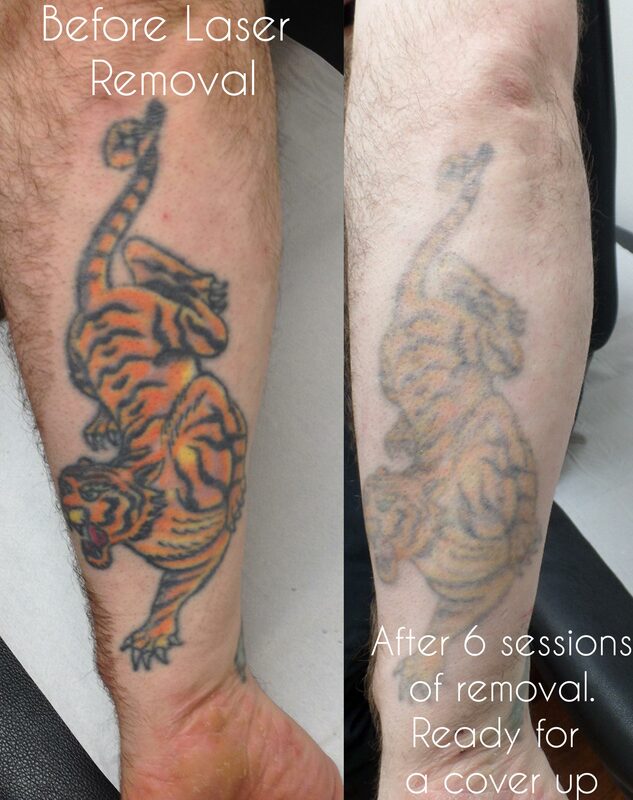 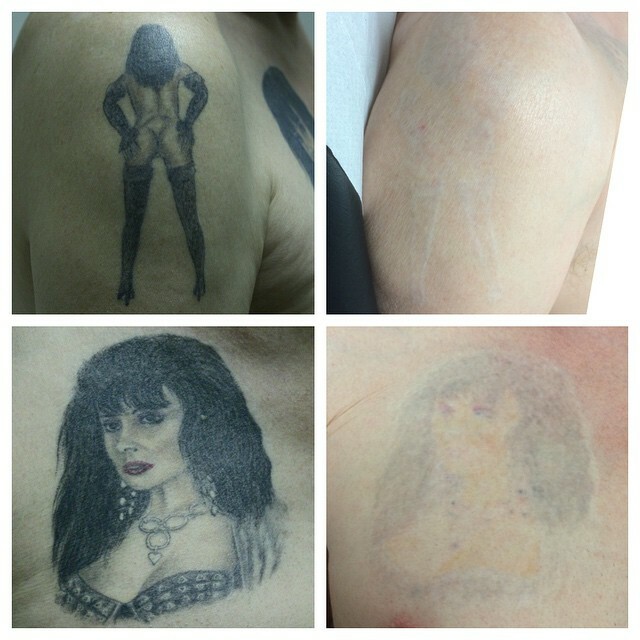 We price our tattoo removal service sensibly and realistically. 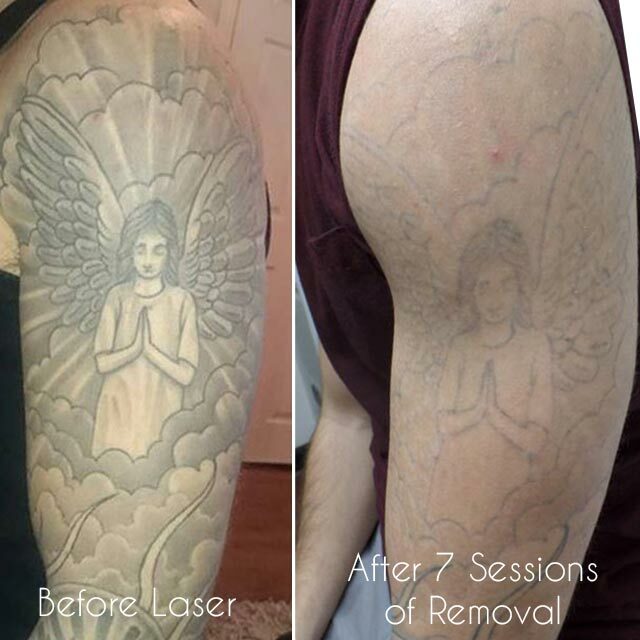 A lot of our customers use laser tattoo removal before getting a cover up, so it is in our best interests to make it affordable and make the final job of our tattooists easier. 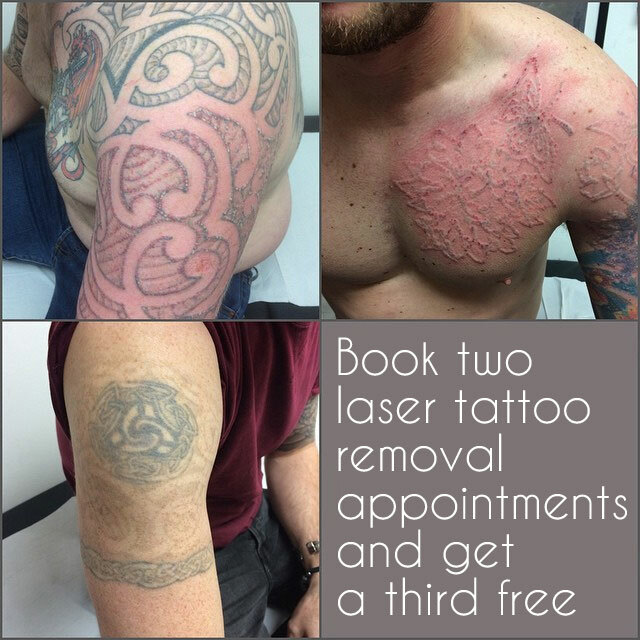 We also offer 2 for 3 on laser sessions so when pay for 2 laser sessions the studio gives you the the 3rd for free. 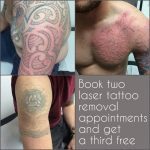 If you require more info then please check out the FAQ.